Thisfunktional mentioned it before on social media and now here they are, some advanced screening passes to "Mother's Day" starring Jennifer Aniston, Kate Hudson, Julia Roberts and Jason Sudeikis. This screening is for Los Angeles, California. Grab your tickets quickly before they are all gone. Grab some passes and take your mother to watch "Mother's Day." I'll make this as easy as I can coral of you. If you want the passes just click the link and download some passes. When you are at the screening, if you post a picture on Twitter/Instagram tag @Thisfunktional and hashtag #Thisfunktional and #MothersDayMovie. 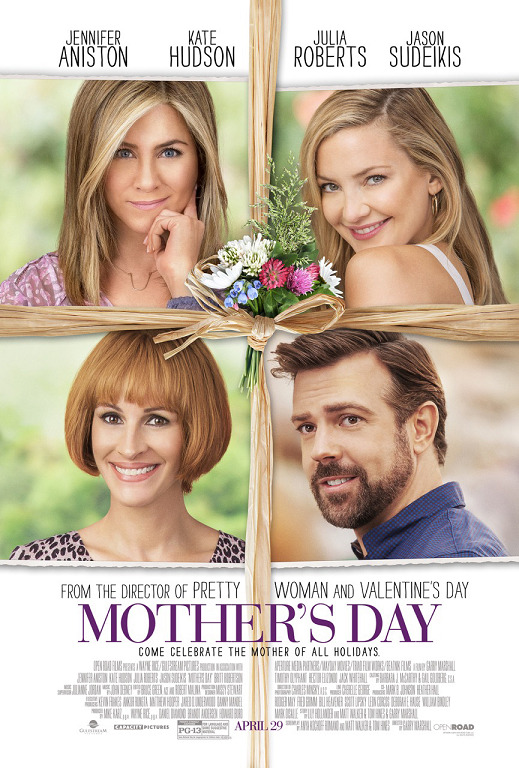 "Mother's Day" is the latest star studded ensemble comedy from director Garry Marshall ("Pretty Woman," "Valentine¹s Day"). Bringing together Jennifer Aniston, Kate Hudson and Julia Roberts along with Jason Sudekis, it's a celebration of mothers everywhere. This big-hearted comedy invites us all to enjoy the laughter, tears and love as three generations come together in the week leading up to Mother¹s Day.